The other day at my eldest son’s club sporting event, I overheard him talking with some of his teammates, most of whom go to Concord High School. In response to a question or comment I did not hear, my son, a ninth grader at Shaker Road School, said, “There are only two of us in the grade, but it’s still actual school.” I could guess what the question or comment was that brought that answer: Ninth grade at Shaker Road School? Never heard of it. Is it home school? What do you do all day? My son sounded just a little bit exasperated, as if describing his high school experience so far was a bit difficult. It has probably been tough for our two ninth graders to define their year for their friends and former classmates from SRS, all of whom have gone on to bigger high schools, boarding or day, independent or public. I think, however, they both understand a few things: first, their curriculum is challenging. Second, though they are only two in number, they do not lack for opportunity at SRS9. Third, they are being asked to implement a higher level of independence in their work at SRS9 than most ninth graders encounter in more traditional high schools. In many regards, ninth grade at SRS is traditional high school. The students are enrolled in English, world history, biology, a foreign language, and math. They have teachers, class times, due dates, books to read, essays to write, and experiments to run. Their academic work has them currently studying geometry, algebra II, Latin II, the Byzantine empire, biological macro cells, and Huck Finn. They have plenty of extra-curricular opportunities, as well: music, sports, drama, and clubs. Our ninth graders, between the two of them, are performing in rock band, jazz band, concert band, drama, and dance; they are competing on the soccer, cross-country skiing, and rock climbing teams. This list does not include their club soccer and rowing teams after school and on weekends. You’ll be hard-pressed to find something a ninth grader at a four-year high school can do that SRS ninth graders cannot be involved in. While the similarities to a traditional high school are very visible, the first differences are subtle. SRS9 students are the oldest on campus, and as such they have privileges beyond those of our eighth graders: an open campus for lunch, flexibility in what they do with their study halls and where they study, and the freedom to adjust their class and work schedules to meet the immediate needs of large projects, lab experiments, and performance rehearsals. Contrast this with many other high schools, where the ninth graders are the youngest, with the least flexible schedules and the most restrictive rules. Instead of a ninth-grade year spent learning how to be high school students, our ninth graders are being challenged to “do high school” like upperclassmen. SRS9 is not about getting ready for high school; it is high school. 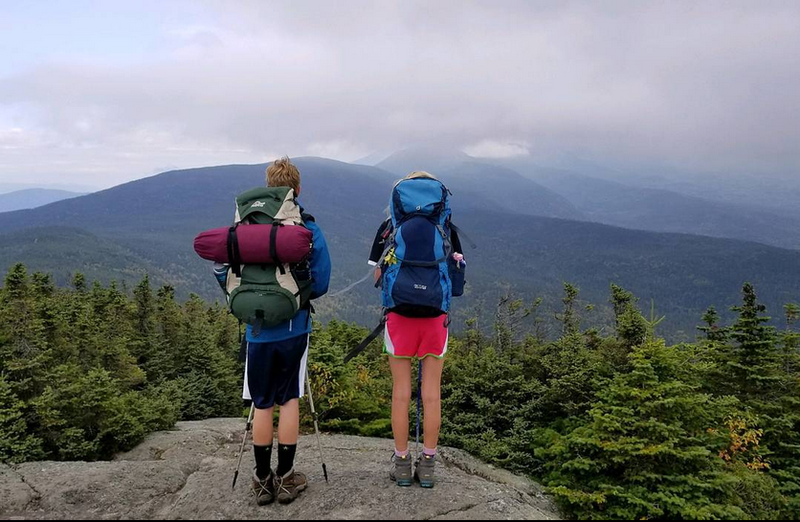 Other differences are more apparent: SRS9 students head up to the White Mountains each month for ecology and environmental science lessons with some solid doses of back-country training like orienteering. A winter trip to Florida is planned for a cross-curricular week of science, literature, writing, history, and culture. Perhaps the most overt difference is the Passion Project, a year-long independent research study on leadership in a topic about which each student is passionate: athletics, visual and performing arts, civics, creative writing—the list is wide open for each student. The project culminates in the leadership research being put into practice. One of the most important pieces of the SRS9 program is an extension of Shaker Road School’s mission regardless of grade level: we work hard to foster the growth of the whole child, from academics and extra-curricular work to citizenship and character development. We know our ninth graders. We design their academic and extra-curricular programs around their strengths, weaknesses, and passions. A student who has been with us during middle school can pick up in ninth grade with the next levels of math, Latin, or Spanish. A ninth grader new to SRS will discover that we are both challenging them in ways beyond what they thought they could handle and providing them with the tools to succeed. I understand why it was hard for my son to describe SRS9, and why his friends had trouble understanding what it’s all about. The concept of high school is fairly rigidly defined in our society, and SRS9 is disruptive to our preconceived ideas. In this day and age, though, we should be used to the idea that disruption is a necessary part of reform, that improvements to systems don’t come without at least partially dismantling the system. Many of the most successful business leaders, artists, and entrepreneurs of our time have taught us that “the old ways” are not always, or are not still, “the best ways.” I hope, as you consider what your own children will do for high school, that you leave room for a little disruption.